Over the last decade, there has been talk of an impending shortage of nurses. Even in light of the economic downturn, the soaring demand for more educated nurses is expected to continue as baby boomers age and health care coverage expands. For nurses who are entering or are in the field already, this demand presents an excellent opportunity to advance their careers and expand their knowledge. So what is the logical next step? Often, it is to obtain an advanced degree. Once the decision to pursue higher education has been made, the next question is where to enroll. As online degree programs have increased in popularity over the last few years, many prospective students may wonder about the similarities and differences between online and traditional nursing programs. Before making your decision, consider what type of institution and program will best suit your needs and situation. 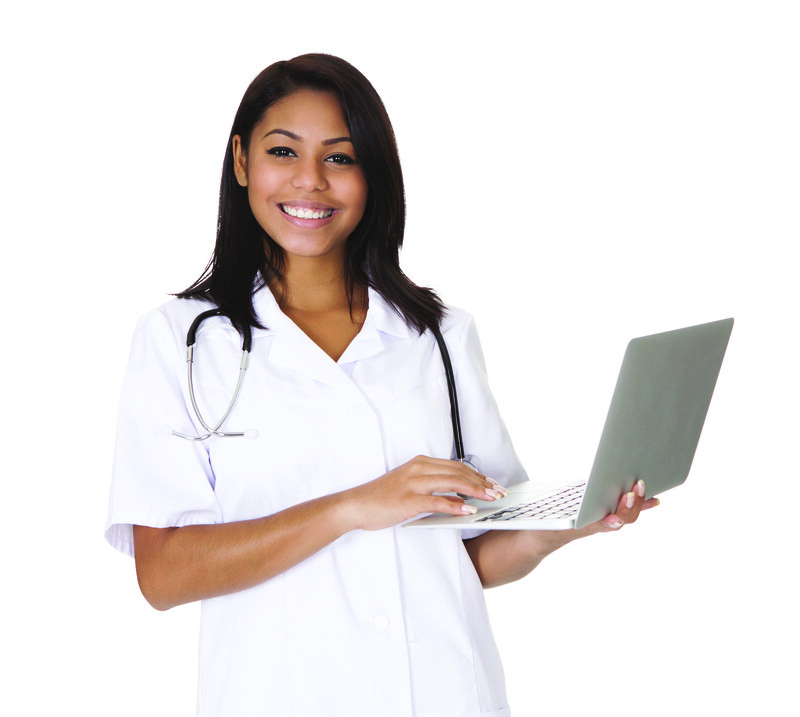 Many nurses say the primary reason they chose an online program is because of the convenience and flexibility. Online learning offers students who are trying to balance a family, career, and other commitments the opportunity to earn a degree without sacrificing their other interests and obligations. An online nursing program may also offer a wider variety of degrees than a local university—if a local university is even an option. Especially in rural areas, the distance and time to travel to a brick-and-mortar institution may make this option impractical. Another benefit of online learning is the asynchronous environment. In an asynchronous learning environment, students can participate at their convenience instead of being limited to participating at the designated location and the time when a class is offered. In the online format, students can generally post their homework and contribute to discussions when it works best for them. This is an especially important benefit to nurses who work shifts that potentially preclude them from attending traditional classes. Some nurses believe that enrolling in an online program means losing out on the networking and interaction opportunities that occur in a traditional classroom. While it is true that actual face-to-face interaction is limited, nurses still have the opportunity to connect and network with other professionals online. The online setting also allows students to network with classmates and faculty from across the country and potentially around the world. As a result, nurses have the opportunity to hear about what’s happening beyond their local area, as well as benefit from the practical experience and knowledge shared by colleagues in other locations. The ability to connect with professionals from different practice settings and to share experiences and challenges is also cited as a unique feature of online learning. And other student resources, such as career advisement and even tech support, are typically as accessible and readily available via online universities as traditional. While it may be the solution for some, online learning isn’t for everyone. There are students who want or need a traditional learning environment. For instance, an online classroom lacks the nonverbal cues that visual learners prefer. Some students simply need the face-to-face interaction. Many feel most comfortable having conversations in person and not over the phone or via an online discussion. In addition, online and traditional nursing programs have different communication styles. On the job, nurses are taught to be succinct in their writing style because of the volume of required documentation in electronic records and because much of their work is done via checklists. Nurses who choose online education participate in a more intensive writing program than traditional education offers, since nearly all of the communication online occurs in written form. Prospective students should keep their personal communication style and preferred learning format in mind when selecting a program. For both traditional and online nursing programs, practicum or clinical experience is required. However, practicum arrangements vary by degree program as well as by institution. Undergraduate practicums in face-to-face programs are usually arranged by the institution, while undergraduates in online programs typically propose the facility and preceptor. For graduate practicums, the trend for both online and face-to-face programs is for the student to propose their facility and preceptor. Class participation is a very different dynamic in an online program versus a traditional program. In a traditional classroom, faculty members typically lecture, and grades are often based on exams and papers rather than on classroom participation. On the other hand, an online program places greater emphasis on participation: everyone participates in discussions by posting their thoughts—there is no back row. The asynchronous online environment is an unexpected benefit for many students, because it allows students to think about what they want to say before they actually say it. Online students have time to reflect on the discussion, and they are actually more engaged. Traditional students who fear public speaking tend to stay silent in class, whereas an online setting can help build confidence in shy individuals or help those for whom English is a second language compose their thoughts before speaking. Regardless of the delivery method, it is important that students find a quality nursing program. When researching which program or type of institution is best, one of the first things prospective students should check is the accreditation. The program should be accredited by either the National League for Nursing Accrediting Commission (NLNAC) or the Commission on Collegiate Nursing Education (CCNE). Additionally, the school should also have a Higher Learning Commission (HLC) accreditation if it offers doctoral programs, as Ph.D. programs are not NLNAC- or CCNE-accredited. Let’s Get Quizzical You’ve already given careful thought to that mother-of-all continuing education questions, “Should I go back to school?” Now that you’ve decided to venture down that path, you’re faced with another pressing question: “Online or traditional nursing education?” As with so many important decisions, answering that question comes with a little self-reflection and consideration. Here’s a short quiz to help you figure out which learning environment is best for you. How much face-to-face interaction with my professor and classmates do I want or need? What kind of flexibility does my work and family schedule allow for my educational pursuits? How do I feel about writing-intensive assignments and interactions? How do I feel about class participation? Is my home environment conducive to study? How comfortable am I using the Internet, e-mail, instant messengers, etc.? How accessible are the closest brick-and-mortar nursing schools? Another consideration when choosing a nursing program is to look at the level of faculty preparation and experience. Faculty credentials are important, and faculty members should be teaching in their areas of expertise—as established through both academic preparation and experience. Faculty members should be experts, and they should be certified in their areas of practice. For an online nursing program in particular, it is important to see how long the institution has been in the business of teaching and offering classes online. Many schools are now offering classes online, but that doesn’t mean that their classes are designed for a truly online experience. To provide a high-quality online nursing program, it is necessary for the school to have expert instructional-design knowledge as well as the technology support that online students need. Above all, prospective nursing students need to be diligent and research the institution. Talk to an enrollment advisor about the program and the various resources available. Also, reach out to faculty members and current students, as well as alumni who have gone through the program. Ask them questions about their experience, course content, and how the degree has helped them succeed. Prospective students can also check out benchmarks with the American Distance Education Consortium (ADEC), the American Federation of Teachers (AFT), and the National Education Association (NEA) to see if the institution they are interested in enrolling in is meeting those benchmarks. At the end of the day, there is no significant difference between student outcomes for traditional and online nursing programs. Both can provide a rewarding learning experience, but, ultimately, it is up to the student to determine which program and delivery method are best suited to his or her current situation and needs.